This is a Hotaru Beam puzzle. 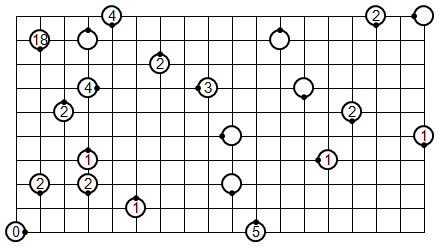 I’m closer to working out how to make a good puzzle of this type. I managed to throw in more variety in this one, but I am a bit worried that too much “if-then” thinking is necessary. I had a lot of trouble with this. 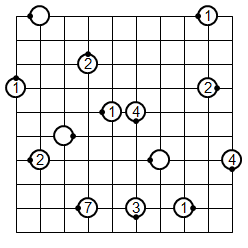 I like the concept of the puzzle, and I’ve thought of some neat things that can be done with it. But setting something clever up while making the solution unique and nontrivial to find is proving rather challenging. Hopefully I’ll be able to figure out how to do so eventually.